Maintains the premium look and feel of the iPhone XS/X’s glass back while offering a comfortable grip. Amazing case for the Xs. Shows off the curves of the phone while protecting against drops. The glass back is much more right and durable than plastic, but the edge materal has a good grip. It’s not even slippery when you put it on a table. Go perfect combo of looks and protection. One minor point I don’t like. 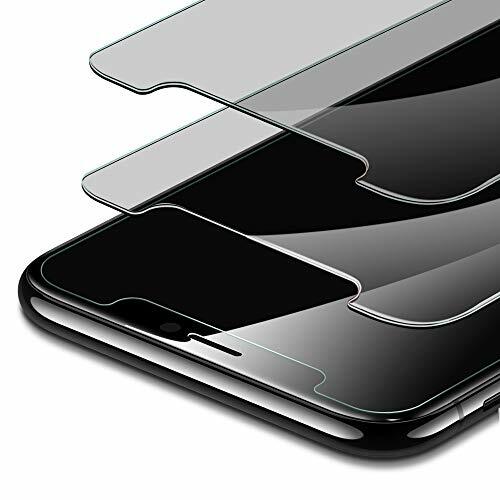 If you have a glass screen protector, the ridges on the front of the case are at the same thickness as the screen protector so it rests on the screen protector not the edges of the case. I researched this product, read reviews and watched installation before even ordering. It came in today and what a smooth installation. Exactly as described and at a very nice price, plus you get an extra in case anything ever happens. This is a really good case and the tempered glass on the back gives it extra protection. Although you should know that when removing the case off your phone, if you’re not careful the glass on the back can crack. This was my first installation on the new iPhone design with the curved edge to edge screen. The installation frame made it very simple to align the protector perfectly. Was the easiest install I’ve ever done on a phone and perfect result. Only issue I saw was several bubbles and couldn’t get them out. I ever removed the protector and installed it again. But don’t worry and give it time. Within 24 hours the screen looked perfect – 100% bubble free. I like how easy the glass protector goes on the phone using the template. 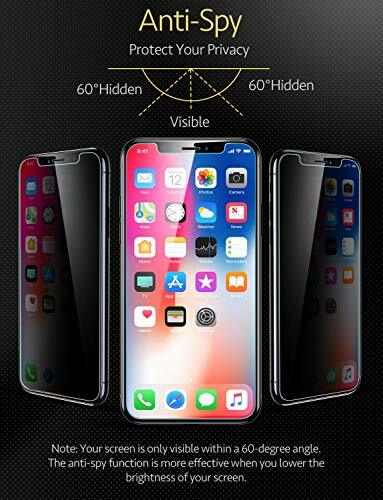 You have to make sure you really clean the phone’s screen really well or you will see a spot that won’t go away from any dust or dirt that get trapped. I really like that I can’t tell that the glass protector is on my phone, due the black curved border on the screan protector. I am looking forward to seeing how long the glass protector will last and I also must say how the screen protector beed off water and resist finger prints.